Beautiful top floor suite in solid concrete and steel Waterford building. Open layout! Stainless steel Kitchenaid appliance package. Hardwood floors throughout, granite counters & luxury tiled spa-like bathrooms (with heated bathroom floors), make this home shine. Immaculately maintained. Over-sized deck, windows & skylight bring in lots of natural light. Heat pump provides economical heat & A/C! Built in vac & much more! Enjoy vibrant neighborhood of five corners, where shopping, coffee and restaurants are only minutes away. Ten minute walk down to the beach to enjoy seaside walks or socialize in one of the amazing beachfront restaurants. 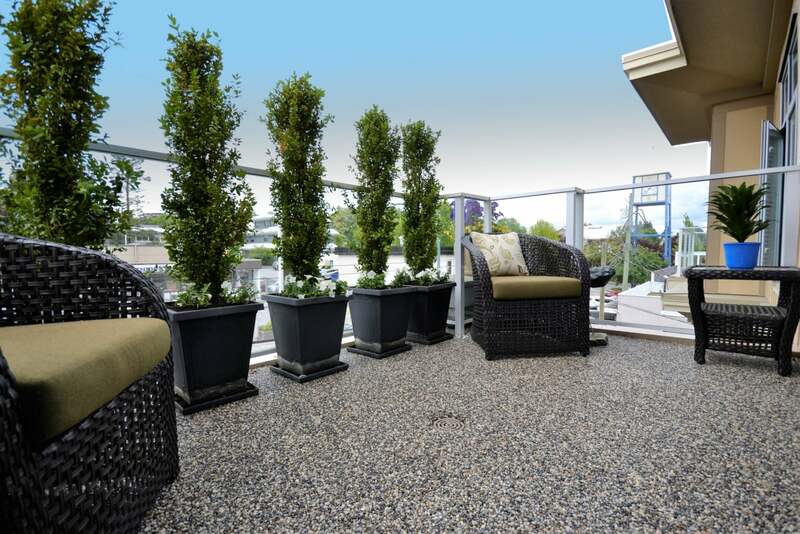 Public transportation 1 block away & top school catchments include IB program at Semiahmoo. Floor Area 1,075 Sq. Ft. 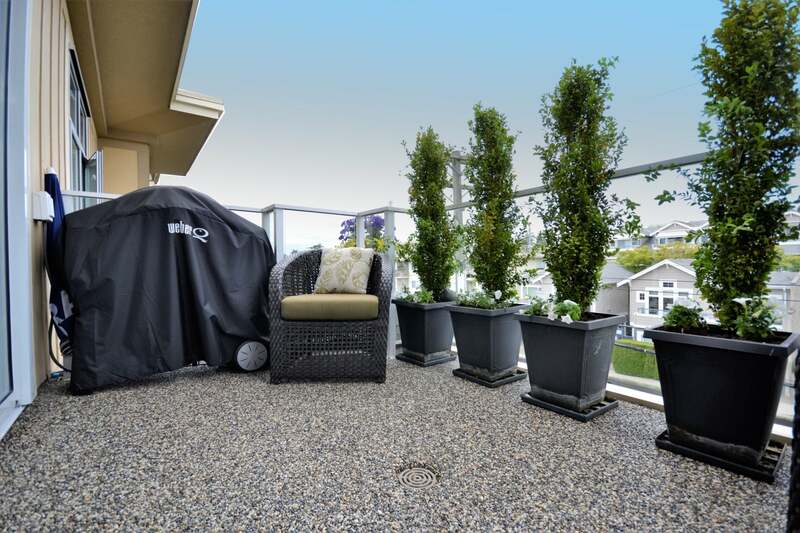 Please send me more information on 405 15164 Prospect Avenue, South Surrey White Rock. Thank you.